Witches in defense of the Alps in World War II. 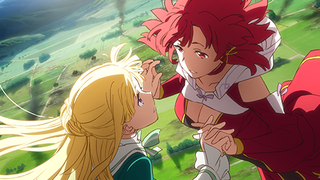 The official website of the original Anime Shumatsu no Izetta has announced that it will premier in October 1. “In the story, in 1939, the imperialist nation of Germania launched a sudden invasion of its neighboring countries. This conflagration engulfed all of Europe in one fell swoop, and the era was dragged into the maelstrom of war. Then in 1940, Germania set its sights on Elystadt, a tiny principality blessed with breathtaking greenery and water in the Alps.